While I'm enjoying every last minute of summer, I have to admit, my mind has already shifted to everything fall fashion. When it comes to transitioning your style for the new season, there are three key items to add to the top of your fall shopping list. Up first, a statement jacket. I suggest buying at least one eye-catching jacket you can wear throughout the season and make it your signature piece for the upcoming months. For footwear, I'm styling all my clients in sock boots this season. The updated ankle boot style looks great with jeans and a simple tee or a printed dress and moto jacket. You'll get so much wear out of the on-trend shoes, I promise. Lastly, add a couple tops with statement sleeves to your outfit rotation. A bold top is an easy way to freshen your go-to denim look this fall. Ready to prep your fall style? Shop my top picks for the upcoming season below. The most coveted denim jacket of them all. You'll love the lightweight style of this jacket. Pair this anorak with some colorful boot for an off-the-runway look. Freshen your office wardrobe with some unexpected color. Take pajama dressing to the next level. 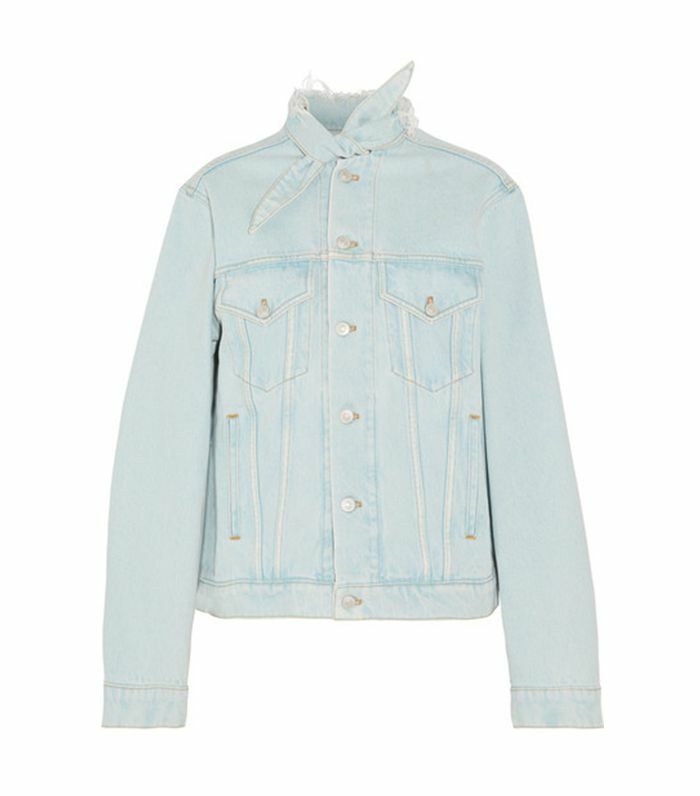 A fresh take on a simple style denim jacket. You can't go wrong with a chic all-white ensemble. These also come in black and white. Snag these affordable booties before they sell out. Not your basic black bootie. It's all about satin this year. Try out a kitten heel with some vintage denim and a ruffle top. I get so many compliments whenever I wear anything Monse. This pretty top is great for going from day to night. Add some volume with this chic statement top. A modern take on feminine ruffles. Add some statement earrings for a bold look. Combine two trends in one with this corset bodice and ruffle sleeves. An updated take on the off-the-shoulder trend.